Ron Lewis Automotive Group and Signs by Tomorrow have partnered up to create a “Spirit Jeep” to welcome Bantam Jeep Festival attendees this June 8-10 at Cooper’s Lake Campground. The wrap was done on a white, Souped Up 2018 Jeep Wrangler JL from Ron Lewis Chrysler Dodge Jeep Ram Fiat in Cranberry. 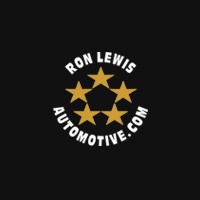 Ron Lewis Automotive’s signature vehicle this year embraces a patriotic theme wrapped in the American Flag with stars and stripes flowing around the vehicle’s exterior. After the “Spirit Jeep” display at Bantam, the Jeep will continue to make rounds at Pittsburgh area patriotic events and is also available for purchase. This Jeep’s customization includes a 2″ Mopar Lift, Mopar spare tire carrier, 35″ Nitto Trail Grappler Tires, Alloy 2-piece Gear wheels and was designed by the Souped Up Jeep team at Ron Lewis Automotive. The wrap design done by Signs by Tomorrow can be done on any vehicle, can last up to 10 years, and is easily removable.